Low clouds periodically moved across this landscape most of the day, and especially on the hike up, over, and down the saddle. And as I was about to give up hope of any color, the last light of this March evening spilled through an opening in the western horizon and lit up a sliver of the low clouds just long enough for me to take several images. 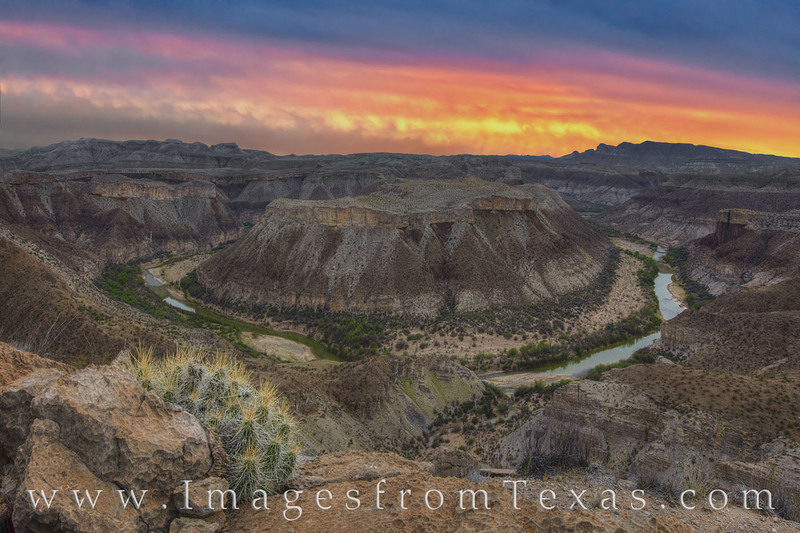 The brilliant reds and gold lasted only a few minutes, but tinted the landscape an eerie orange color during that time, then darkness quickly fell across this desolate region of the Big Bend. Photo © copyright by Rob Greebon.